Go to http://www.sjkp.com and type philaret in the search box. The family lies at the heart of the life of the Church, and has always been one of her greatest concerns... even in the lives and thoughts of those who have forsworn the "natural" family for the monastic. In his simple style, Metropolitan Philaret touches upon the critical aspects of the development of children... assuredly, the nurturing of whom is one of the most vital of the Church's tasks. The life of the Gospel is at once complex beyond human understanding... and so simple that only a child can understand it. 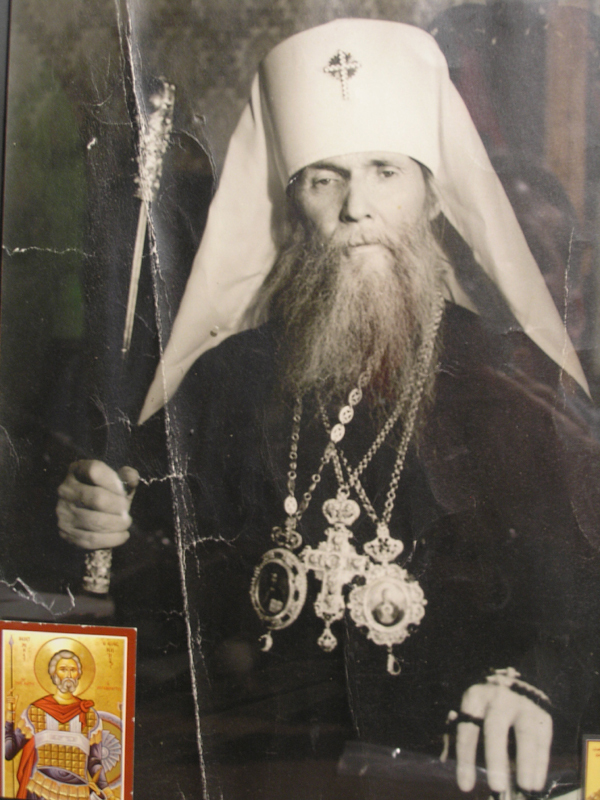 In only a very few words, Vladyka Philaret calls us to that life... "as easy as 1, 2 3..."
Both for those who knew him and those who did not, these few lines (graced by a moving personal account by one of his last companions, and the words he left behind in his typewriter) provide a reminder of what it means truly to be a "confessor" in these days. The title says it all -- in a pluralistic society such as ours, where most of us have close relatives and loved ones who are very far from the true Orthodox Faith, this is a burning question. The critical distinction is clearly drawn between those who knowingly pervert the truth (into which class we ourselves should surely fall, were we to abandon the true Faith), and those who sincerely struggle outside the Church, never having known her fullness. Any other kind of "morality" is, inevitably, simply self-interest masked in one way or another... even if it is genuinely "enlightened" self-interest. The wise simplicity of Metropolitan Philaret speaks to the Christian heart. A brief exploration of the distinguishing feature of fallen mankind. From the pen of a man of great spiritual insight and depth of human understanding, a broad-ranging exploration of the dimensions of Orthodox Christian life. Topically focused chapters range from "Freedom of Will" and "The Christian 'I'" to "Christian Death", concluding with several chapters on prayer. Originally published decades ago, this new edition includes a brief biographical notice and features modern and easily read typesetting. This video includes His Eminence, Vladika Metropolitan Philaret the First Hierarch of the Russian Orthodox Church Outside of Russia, and which the Holy Canonization of St. Blessed Xenia took place at the Kursk Mother of God Russian Orthodox Cathedral in New York. Compiled by Father Demetrios Serfes.